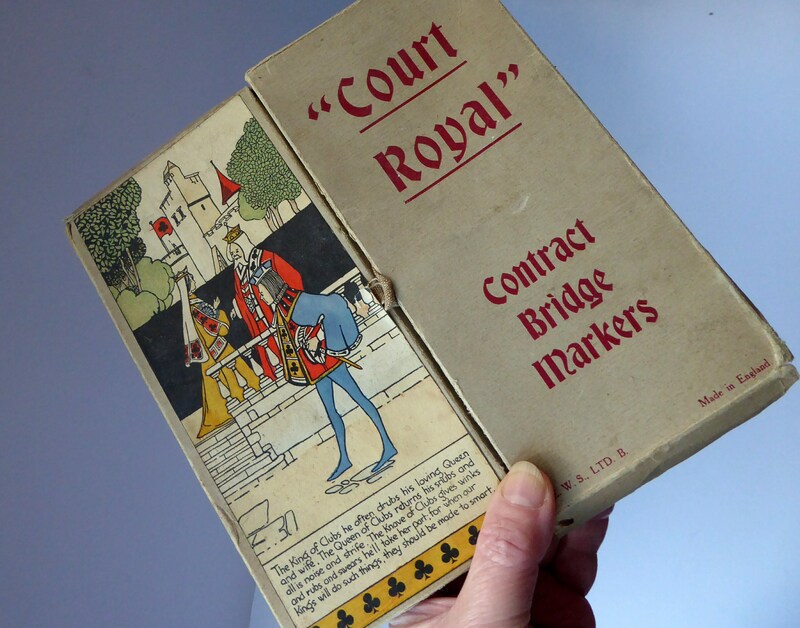 This is most definitely a more specialist item for the collector of items relating to contract bridge. 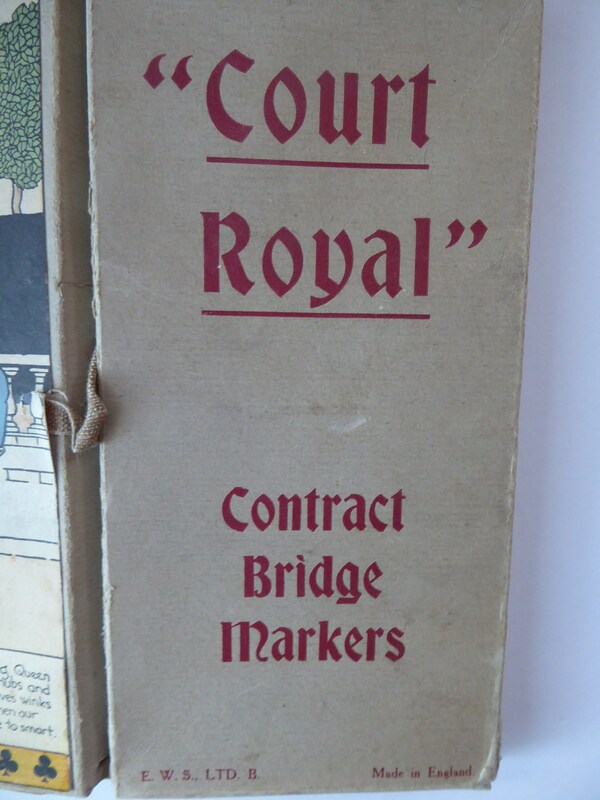 Here we have a very rare survivor - a set of four "Court Royal" markers or score pads. It is in a slightly shabby chic condition - but good vintage condition given their age and rarity - I cannot find another set like the. The set comes in a little fold out card wallet - as photographed. When you open up the illustrated external folder you reveal four score pads - representing the four suites of cards inside. 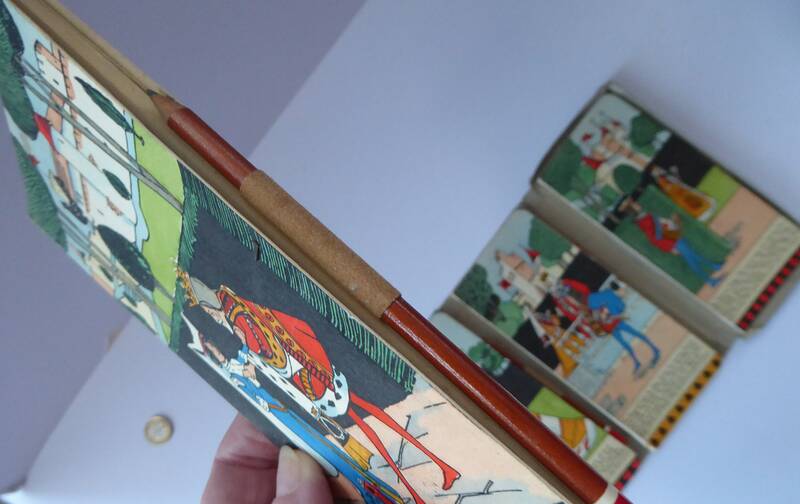 There are four separate booklets - as photographed - each with their original matching pencils. The sheets are held together at the top by a single metal staple - which over the decades (these are now nearly 90 years old!) 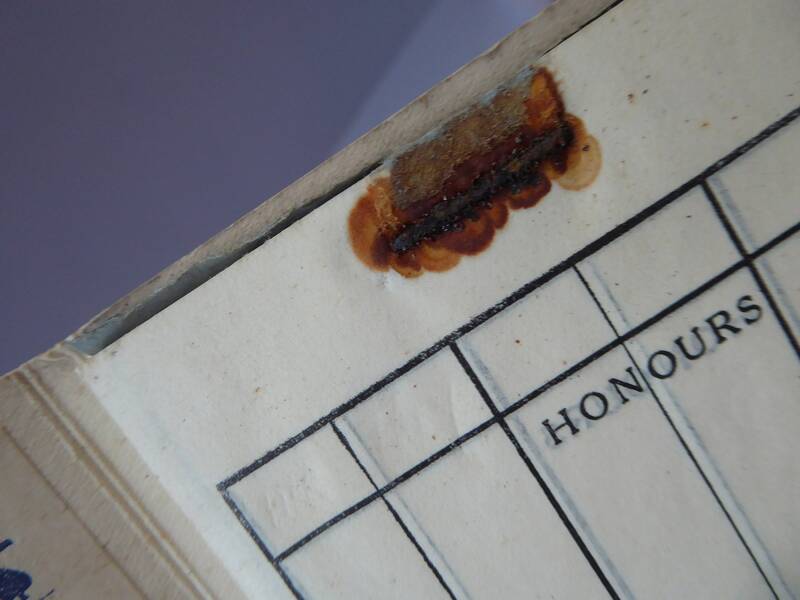 has rusted and left a brown mark on the opposite side of the booklet. 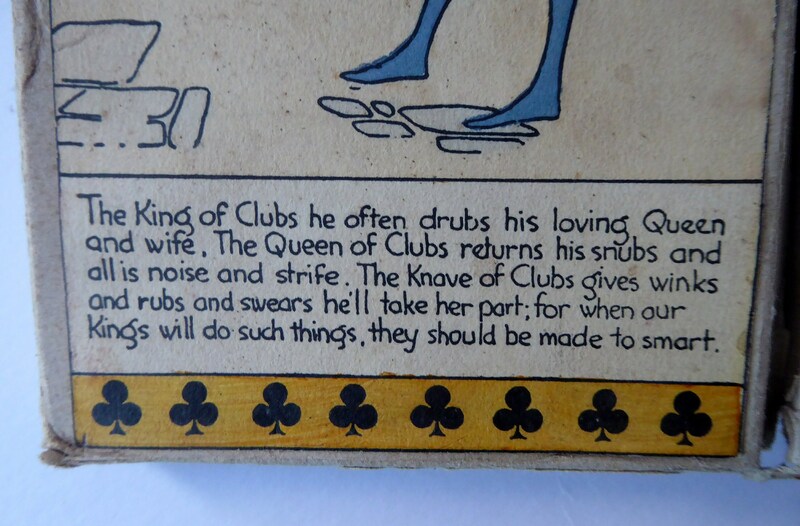 The covers are just glorious and with bright unfaded illustrations - being kept out of the light and in the folder all their life. 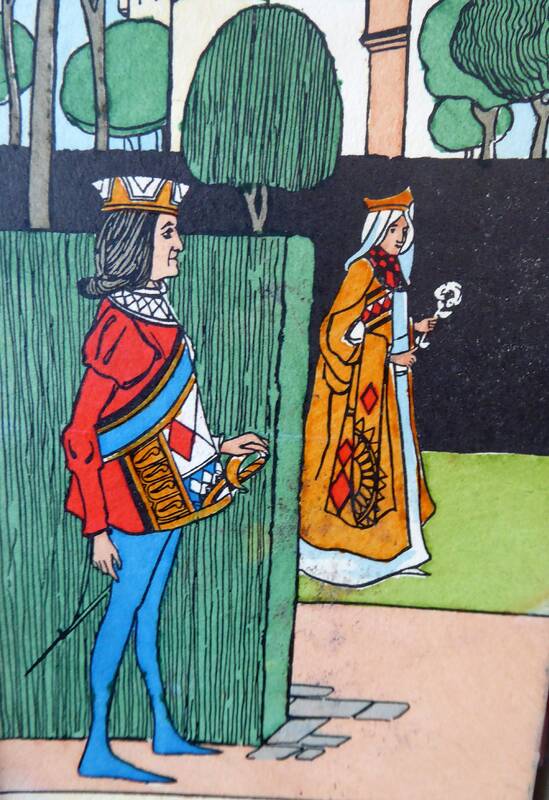 The images are all hand printed with chromolithographic images - and show members of a Medieval court meeting in the garden of a grand Castle. 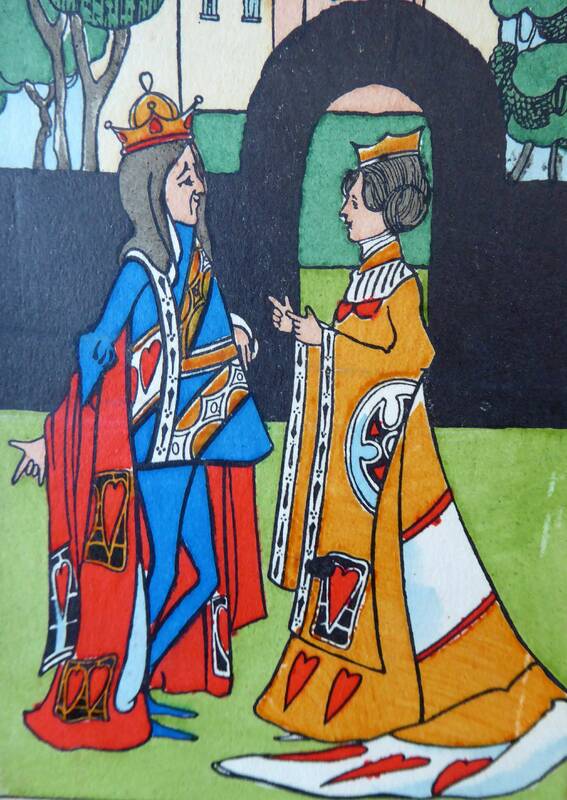 They all follow the procedures for observing "courtly love". 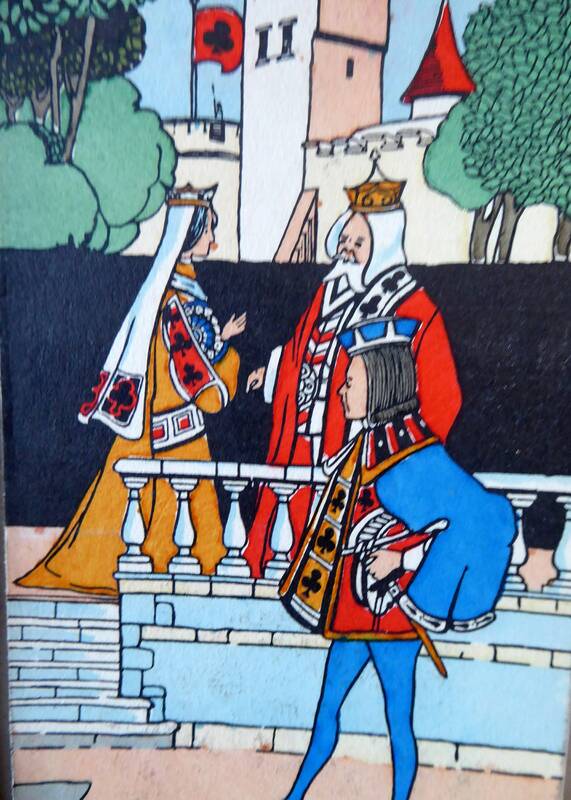 Very rare and decorative set - please look at all my photographs. Measurements - all four when opened up: about 8 inches x 16 1/2 inches. 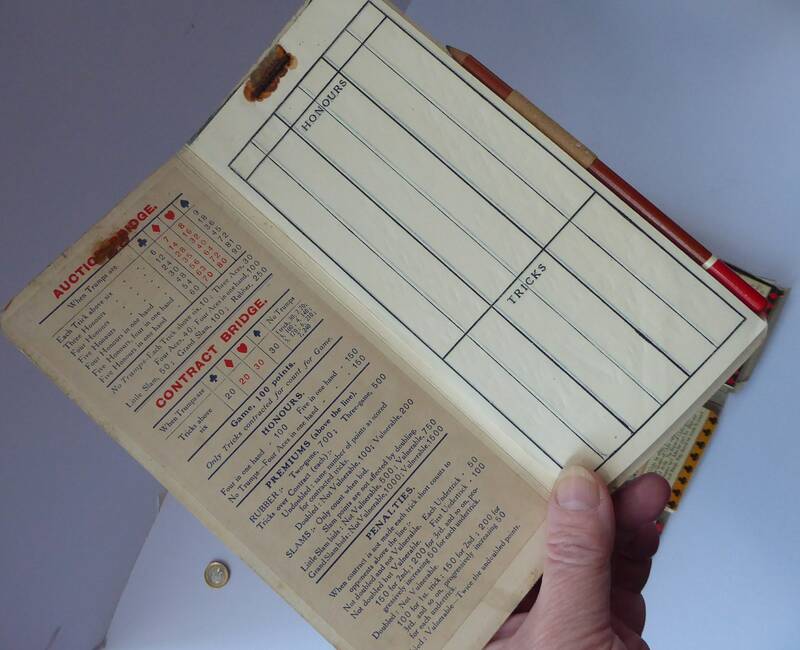 The folder, when closed, is 8 inches x 8 inches. Each pad is 8 inches 3 3/4 inches. 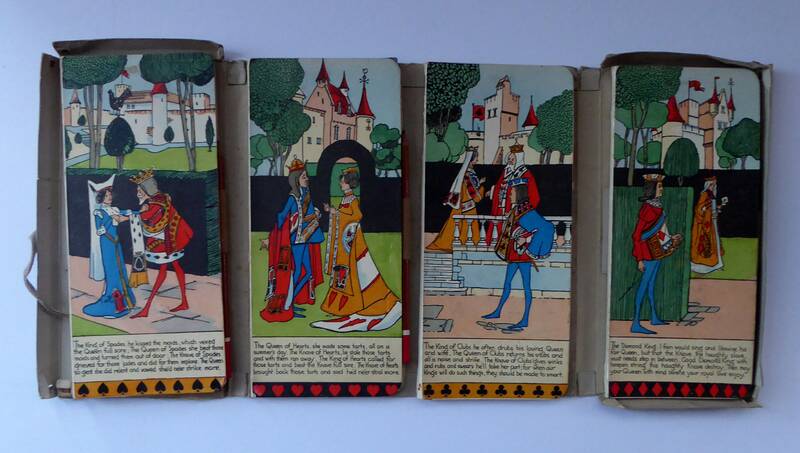 Fair price for this set - working out at £10 for each set of score pads. I will be able to post these internationally, please ask for a postage quote outside of the UK. The postage quoted here is for UK postage - the pads will be sent to you in a sturdy box so that they do not get damaged in transit.